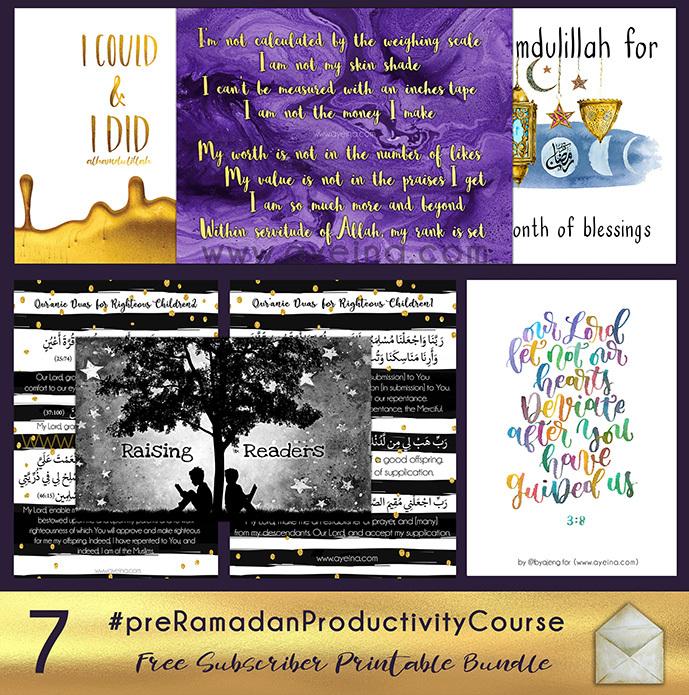 We started this 7 month Pre-Ramadan Productivity Course in the start of October (And if you will be reading this afterwards, this is the 7th and last month of #preRamadanProductivityCourse – as a detailed guide on the PRODUCTIVITY JOURNAL FOR MUSLIMS – although you can choose any topic in any month or week, this is simply how we did it and we hope that it helps make things more clear and doable for you in shaa Allah). 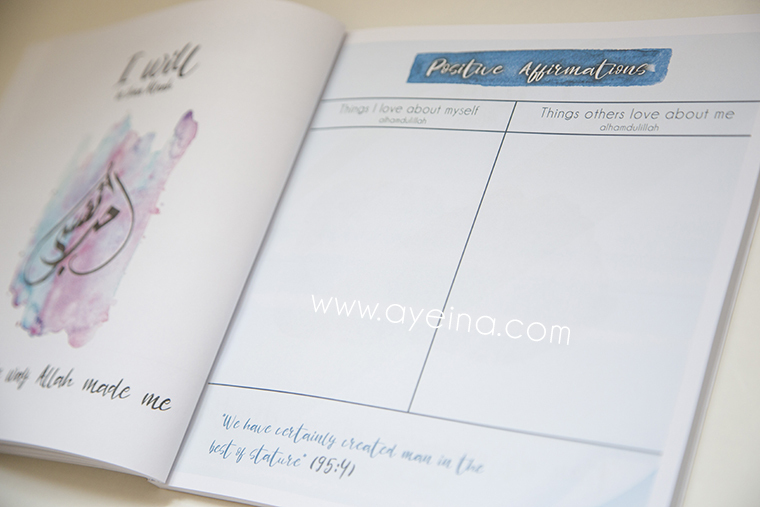 Since we pick out 1 section from each category in the journal each month: 1 from Spiritual Development, 1 from Personal Development, 1 from Strengthening Relationships & 1 from Goals and Dreams – In April 2018, we picked topics of discussion like: Adhkaar Chart (to encourage ourselves to learn new adhkaar and stick to them until they become a habit bi’idhnillah), Positive Affirmations (to accept and love ourselves inside out and believe in our capabilities), Dawah Plan (spreading the deen of Allah and sharing the beauty of Islam) and Book Log (to read more books). 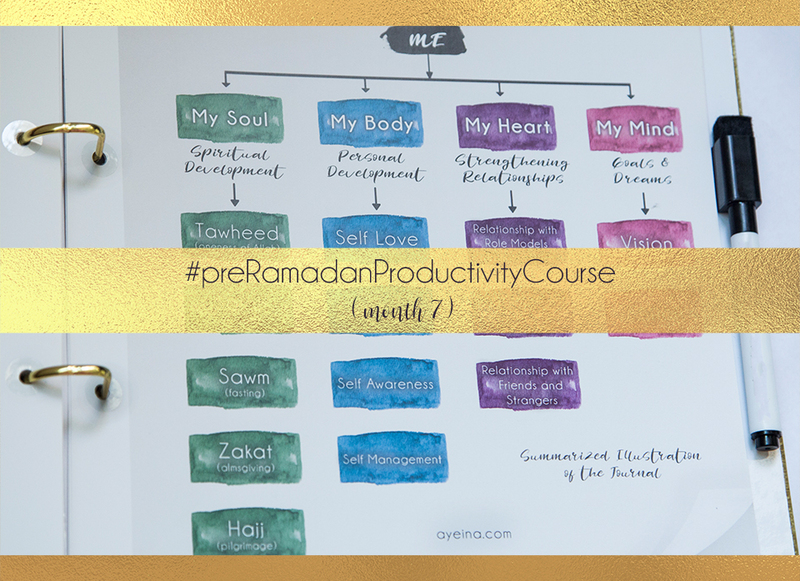 Challenge 1 from *Spiritual Development* was “Adhkaar Chart” in #PreRamadanProductivityCourse and we discussed how we can make Dhikr an effortless habit before Ramadan so we can make the most of upcoming Ramadan and also teach our kids along the way. Read books with them. By 4 months old, your baby will show an interest in books and start to explore them by chewing etc. At this age, your baby needs sturdy vinyl or cloth books that can survive chewing and are not easily torn. 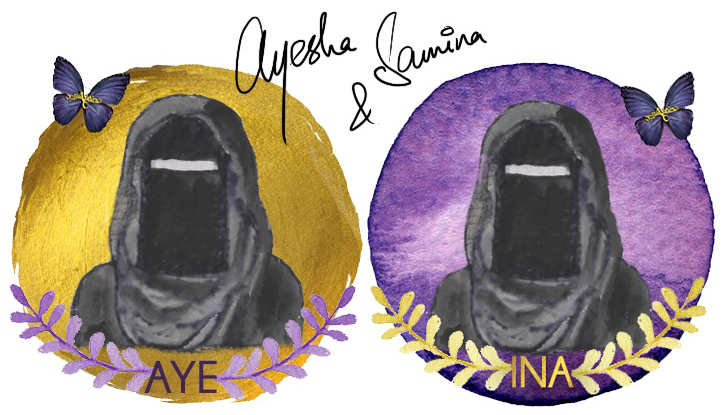 They are calmed by the rhythmic sounds so the beautiful formation of duas is a great start. The more they listen and see the lip syncing, the more they get familiar to them. 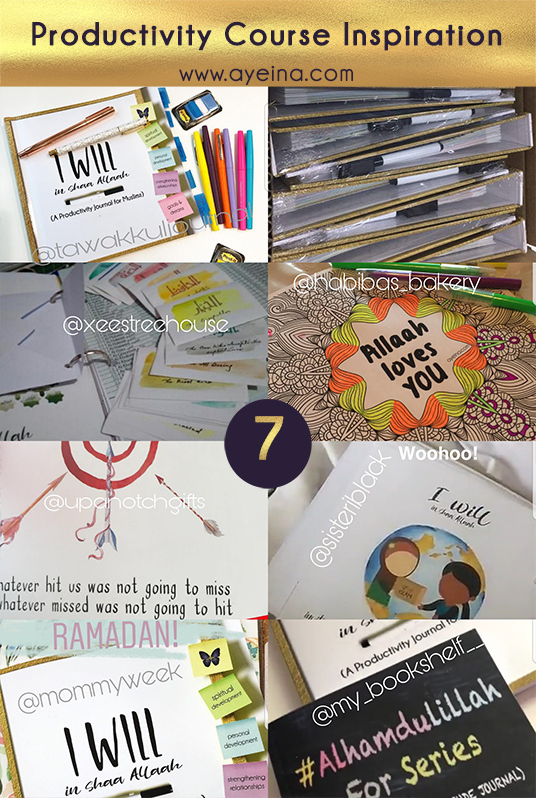 You may also hang posters, apply stickers or zikr magnets around the home for elder kids who are able to read. 6-12 months old babies become less interested in mouthing books and more interested in the words. You can promote your baby’s interest by looking at books with him and talking about the pictures. Invite your 8 or 9-month-old baby to turn the pages. For eg: You can play the audio of dua for traveling when you sit in the car or use the audio recitation of morning evening duas. If your child is an aural learner, the above points are great to get them learn their adhkaar. If they are visual learners, then books etc. Work great. And if they are kinesthetic learners, then building an activity around the dua to help them learn is a great start. 1) Teach them appreciation and gratitude for diversity in the world. 2) Tell them that Allah loves them the way He made them. Their real value lies in their hearts. When kids understand that they are important just as they are, they begin to love and value others just for who they are too. 3) Communicate and listen to them like they have something important to say. Prophet saws used to turn his whole body towards a person he used to talk to. 4) Set boundaries in positive ways, without shaming or blaming. 5) Help kids connect with nature, art, and other pursuits that inspire creativity. 6) Play, laugh, dream, and have fun together. Allow them to have free time. Do NOT over-schedule them like we adults over-schedule our lives :/ (that needs to change as well. You deserve to breathe too). 7) Encourage your children to see their strengths. 8) Offer appropriate praise – it is a valuable self-esteem builder when not over-done or under-done. 9) Step back and let your child take risks, make choices, solve problems and stick with what they start. Confidence comes from doing, from trying and failing and trying again — from practise. 10) Teach them the Growth Mindset – If children get stuck thinking they can’t do something, they might start feeling inept, and stop trying. They’re buying into a fixed mindset. Kids need to be guided to believe their success is based on their efforts – the results don’t matter but efforts do. Practice leads to mastery. Lail states in her blog: “Regardless of religion or creed, every family treasures the time spent creating meaningful traditions and memories. Participating in activities and exchanging small gifts that strengthen the bonds between family, neighbors, and friends, are the treasures of this life. It is in the sharing of these small and universal gestures that brings us closer. And that’s when we start to build bridges of understanding and compassion for one another. Let’s build bridges this Ramadan, not walls. Share the Ramadan spirit with your friends, coworkers, and neighbors this Ramadan. With just a little planning ahead, you can easily attempt at least 2-3 goals you set for yourself. Because we have experienced the joy of receiving cookies outside of my own religious celebrations, we love to share our own goodies during the month of Ramadan. .
We make our Ramadan cookies in the shapes of commonly known Islamic symbols such as masjid 🕌 , minaret, moon 🌙 or Ramadan fanoos etc. using the classing cookie cutters from @withaspin_ to spark the conversations around faith. Last Ramadan, we invited a non Muslim friend’s family and asked him to bring along 3 other families. It was wonderful to make new friends as we broke our fast and talked about Ramadan, Islam, and it’s similarities with Christianity and Judaism. Challenge 4 from *Goals and Dreams* category was “Book Log” in #preRamadanProductivityCourse – Writing out a list of all the amazing books you want to read really helps you narrow down your goal into a doable step. Ask for recommendations from friends etc. You can keep a journal or a notepad listing the books you’ll like to read for each month or even a year! 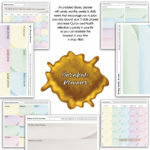 2 – Self affirmations poem with gold lettering on purple marbled background. 3-4 – Black and White lined Collection of Quranic duas for righteous children with gold polka dots (2 prints) . 5 – Watercolor “Raising Readers” black and white printable (two kids on a starry night, sitting under the tree to read books). 6 – Colorful watercolor hand lettered dua “our Lord! 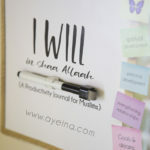 Let not our hearts deviate after you have guided us” – (by @byajeng). 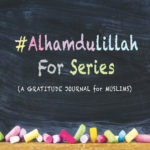 7 – watercolor positivity poster (#AlhamdulillahForSeries) – “Alhamdulillah for the month of blessings” (Ramadan).